This album review series tends to look toward the more eclectic material for subjects of our unsolicited opinions: folk, blues, New Acoustic, singer-songwriters, world music, and various combinations thereof. In such a musical context, most rock bands can seem rather boring. But this week, we do address ourselves to a rock band that does not do anything particularly innovative, but does what they do very well. They draw on the right combination of influences to make tasteful satisfying music that can appeal to a couple of different generations, though their combination of contemporary influences with those of classic British pop going back to the Beatles. The band is called Minibar, and their new, second full-length CD is called Fly Below the Radar. Minibar has an interesting background. Formed in London in the mid 1990s, they were sufficiently attracted to the California scene that they moved to the US in 2000. Having already been winning critical praise, they soon hooked up with T-Bone Burnett, known for his production of the O Brother Where Art Thou soundtrack, as producer for their first CD Road Moves in 2001. Minibar's principal songwriter is Simon Petty who was born in 1967 in the industrial city of Manchester, the son of a Church of England vicar. He describes his musical tastes as "rebellious" as he was growing up, being especially fond of the Jam, the Buzzcocks and Smiths and Elvis Costello. But he also turned to the influences that inspired the groups that he liked, so one can hear some occasional, but very definite influences from the Beatles. After working a wide variety of odd jobs, ranging from an ice cream vendor to an English teacher, Petty founded Minibar with bassist Sid Jordan and multi-instrumentalist, including pedal steel player, Tim Walker. Before moving to the US to pursue their musical dreams, Minibar recruited drummer Malcolm Cross. In the US, they found their sound, borrowing roughly equal portions of folk-and country influenced roots rock with the Beatles-tinged British pop marked by strong vocal harmonies and interesting musical ingredients. As a follow-up to their 2001 T-Bone Burnett-produced CD Road Moves, Minibar brought in some other producers for Fly Below the Radar including Dusty Wakeman, who has worked with Lucinda Williams; and two of the members of the Wallflowers Rami Jaffee and Greg Richling who lent their production to four tracks in either together or separately. An mentioned, Minibar does not really do much of anything that has not been done before, in terms of basic sound or underlying influences. But their strength comes from their combination of factors: Petty's gruff but high and appealing vocals and Minibar's strong harmonies, the quality of the writing, some very interesting lyrics, and musical compositions that go beyond a simple rock sound to pieces that take sometimes unexpected directions. Taking a tip from the Beatles, Minibar strives to have something different in each track -- sometimes it's an vaguely out-of-place steel guitar, sometimes it's a song in waltz time, and at others it's the juxtaposition of distorted electric guitars with strumming acoustic guitars. Fly Below the Radar, the new second CD by Minibar, is an enjoyable recording by a band that combines some classic British pop and American roots-rock influences, by having started in London and ended up in California. They feature solid songwriting, musically appealing and lyrically intelligent. With strong vocal harmonies and abundant hints of Beatles influence, along with folky acoustic guitars and occasionally twangy steel guitars, the mix works surprisingly well. The result is an easy-going recording that nevertheless shows a lot of originality. For our sound quality grade, we'll give it about a "C." The mix is often murky and there is almost no dynamic range in the recording. Even though the band's music rises and falls in intensity, the recording is always at the same volume. This good band deserved a better recording. Fly Below the Radar may be the title of one of Minibar's songs on the CD, but it's also perhaps a description of the band and its approach on their new release. Previously on a major label with a high-profile producer, this album is very much an independent effort, with even the art work being created by one of the band's members. It's not music that's likely to hit one over the head, or for that matter, attract a lot of attention by the commercial media. But while Minibar's music may not be the most iconoclastic or innovative to come down the pike recently, there is definitely a place for tasteful intelligent rock. 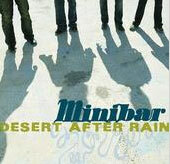 And Minibar have certainly won theirs with their new release.